I'm posting this just before I go on yet another trip so there'll probably be a short hiatus on posts yet again, just a heads up. 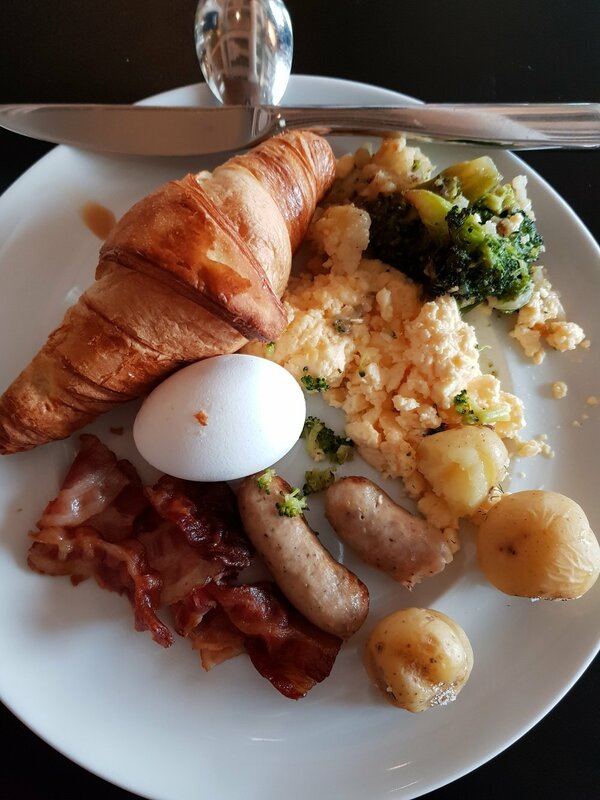 We had a delicious filling breakfast courtesy of Clarion Hotel before checking out and heading to the museum, which was about a 10 minute walk away. 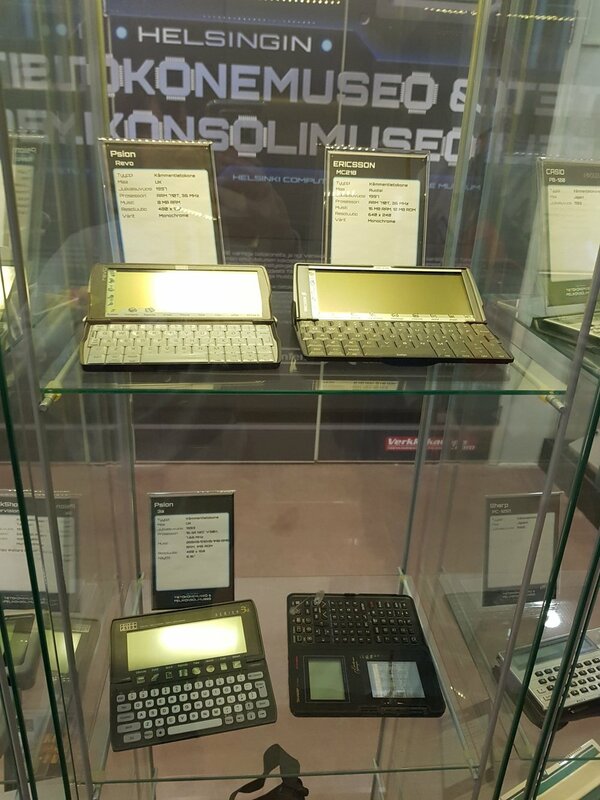 The museum was actually located within a shopping centre/mega store called Verkkokauppa.com, which sells electronics and household appliances. 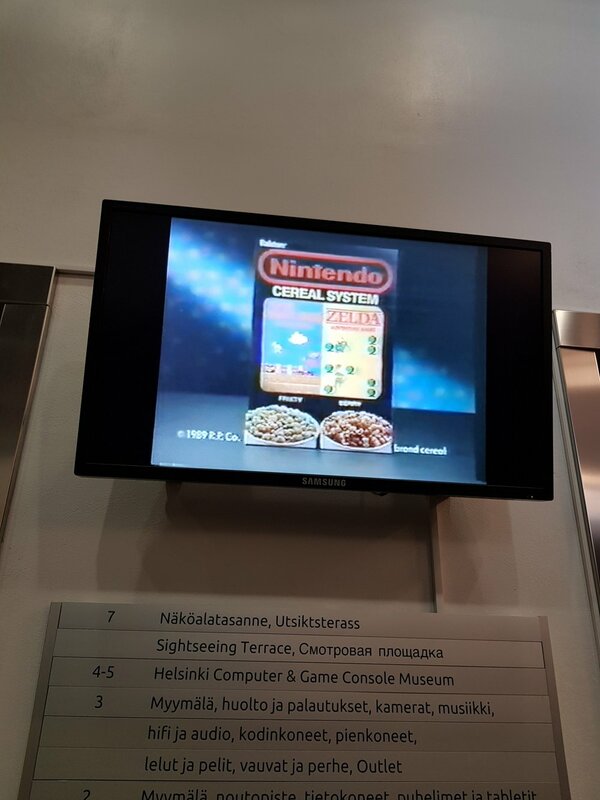 It was a building on its own, and the Helsinki Computer & Game Console Museum was on the 4th and 5th floors. 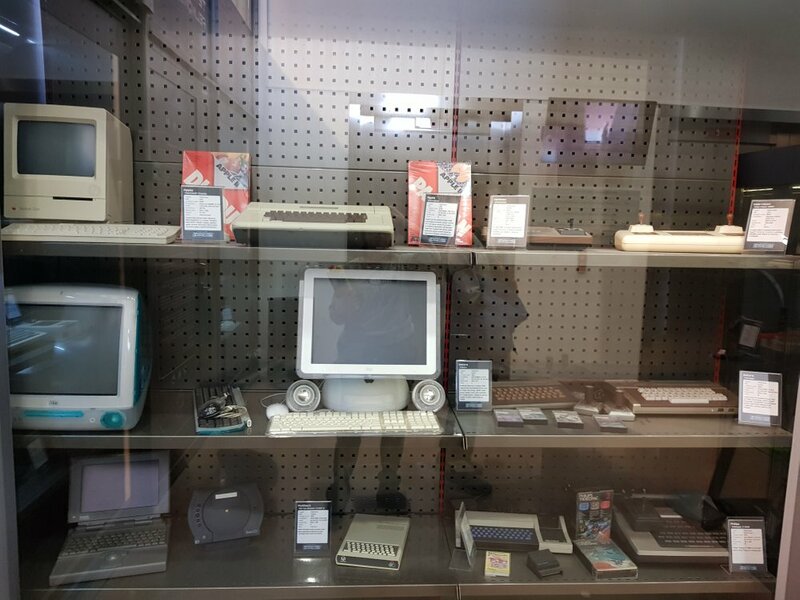 Anyway, on the first floor of the museum (which is technically the 4th floor), there were the reeeeally old computers and game consoles, stuff I wasn't really familiar with since I wasn't around back in the 80s. 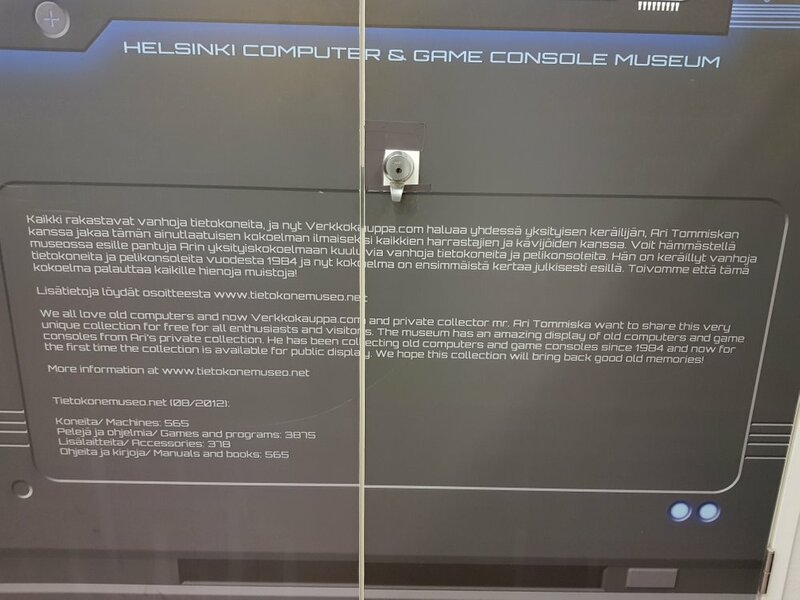 It's too bad the text on the labels were in Finnish and some of the lighting in the display cases weren't even switched on so it was hard to see. I was expecting a guide or something but since it was so small I thought there'd at least be an e-guide, but there wasn't. What a shame. Oh well, here's some info on Atari I found! 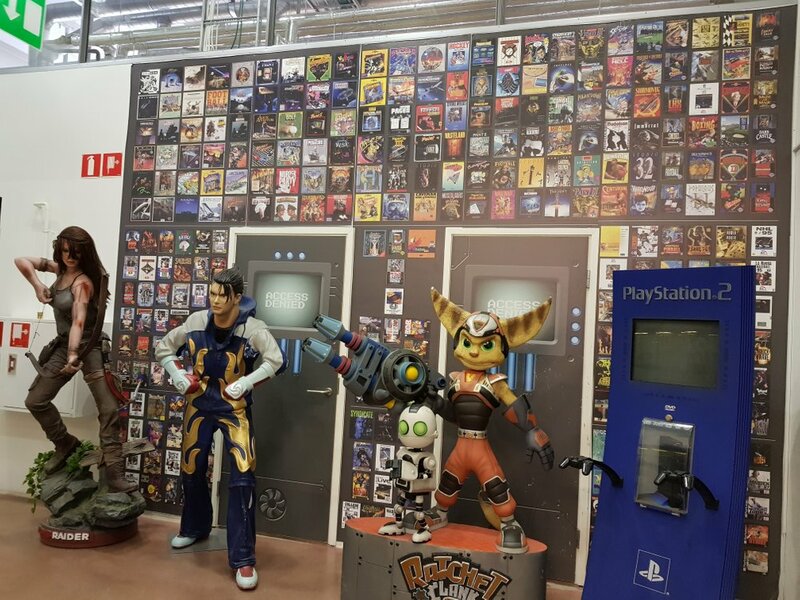 Atari is a French corporate and brand name owned by several entities since its inception in 1972, currently by Atari Interactive. 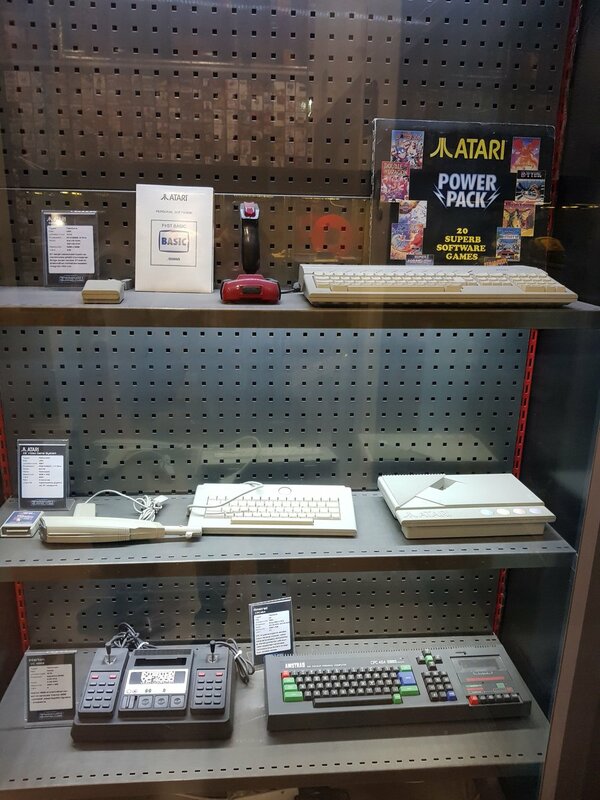 The original company was called Atari Inc. and was an American video game developer and home computer company founded by Nolan Bushnell and Ted Dabney. Primarily responsible for the formation of the video arcade and modern video game industries, the company was closed and its assets split in 1984 as a direct result of the North American video game crash of 1983. 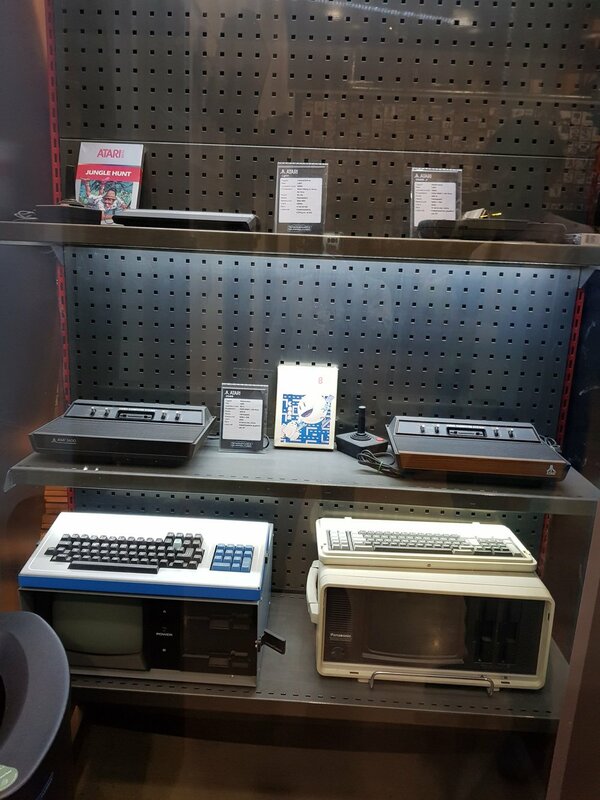 Today, Atari is still known for creating one of the oldest video games, Pong, and famous retro arcade games like Asteroids and Centipede. Old Commodores! I've never actually seen one in person so it was so cool! 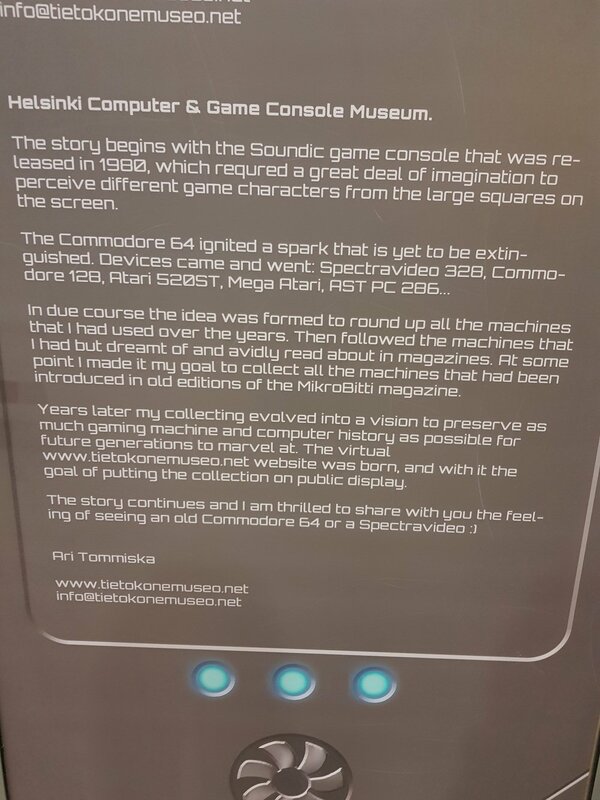 The very famous Commodore 64 (or C64) is an 8-bit home computer introduced in January 1982 by Commodore International. 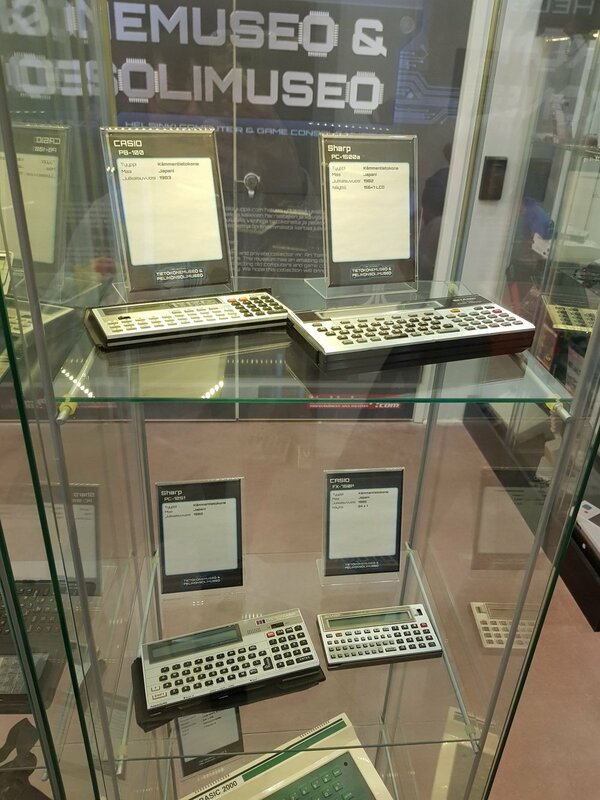 It has been listed in the Guinness World Records as the highest-selling single computer model of all time, dominating the low-end computer market for most of the 1980s. 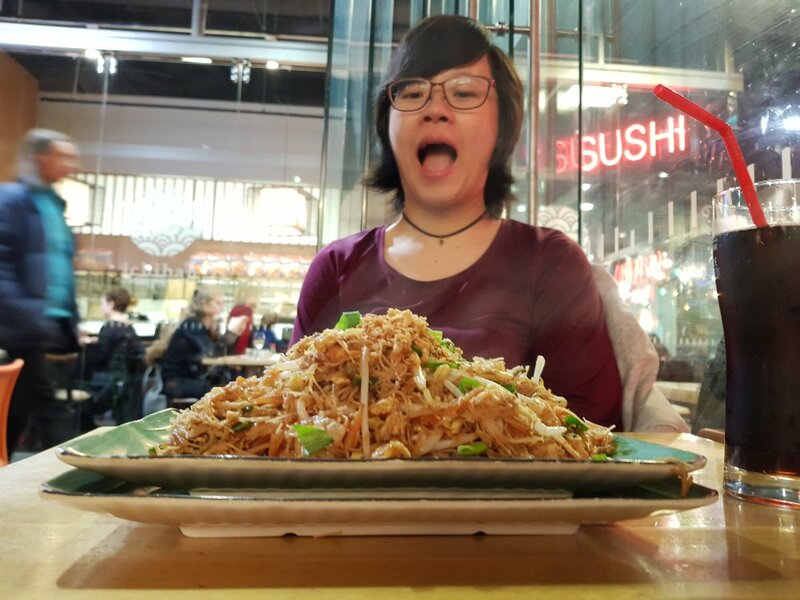 There was so much stuff I didn't recognise! 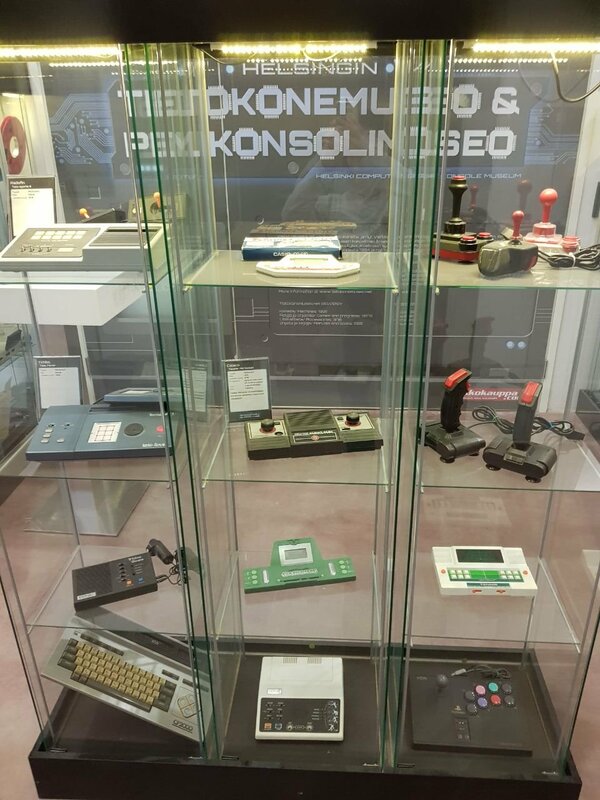 I know of those old joysticks though. After a brief look around, we went to check out the 2nd floor of the museum. 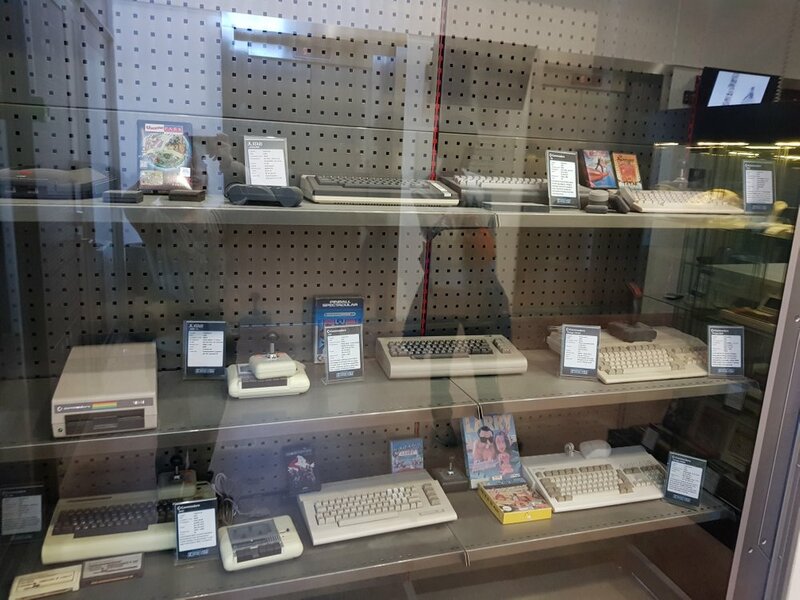 There was some slightly more modern consoles here, and Nintendo stuff! 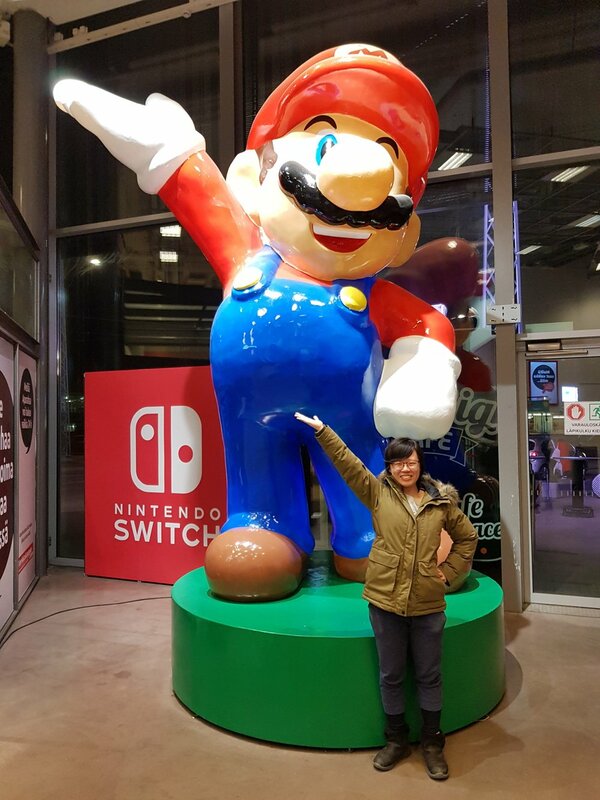 So I was more excited. 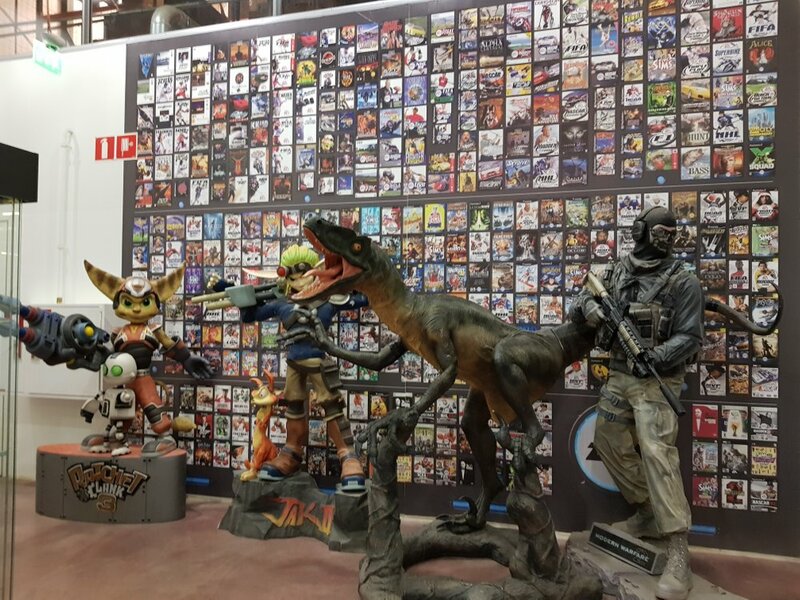 Another wall of cover art and statues! 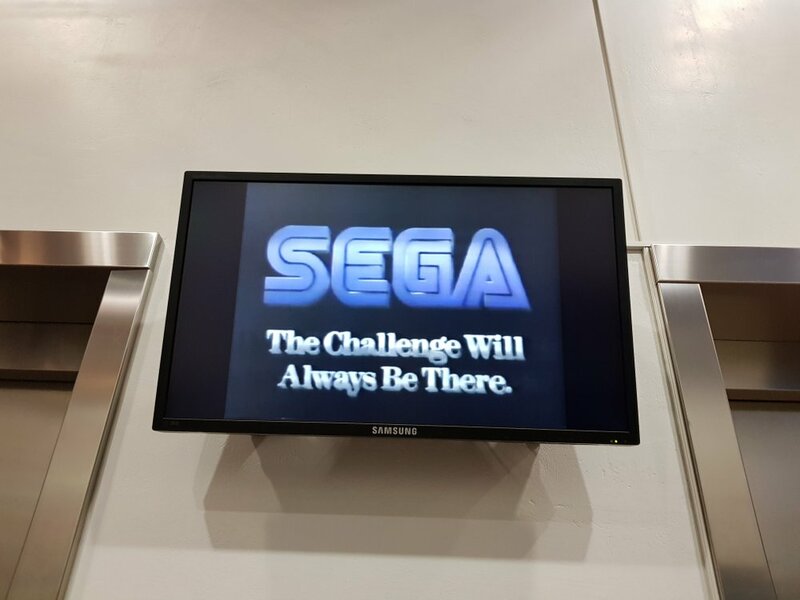 Too bad the PS2 wasn't switched on. 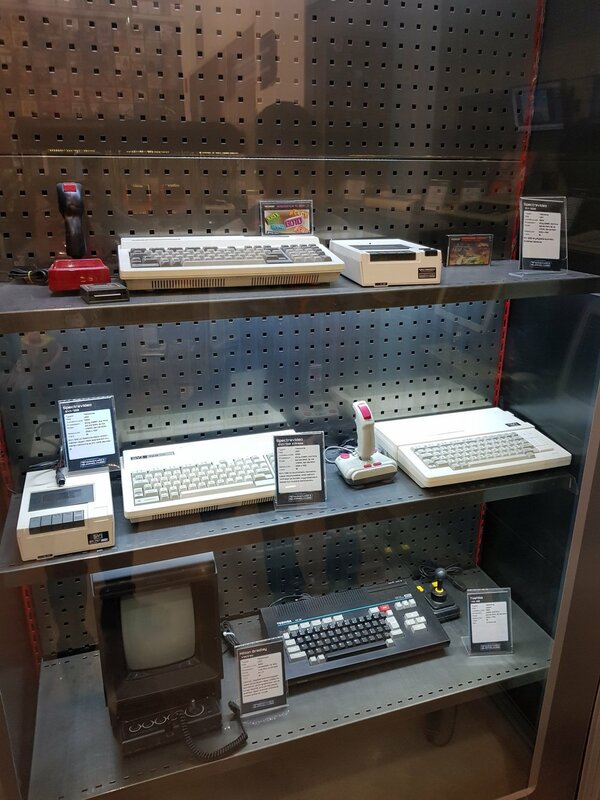 Old computers! Oh damn I remember that blue iMac in my old classrooms. I remember seeing that small TV console on a YouTube video about R.O.B.! 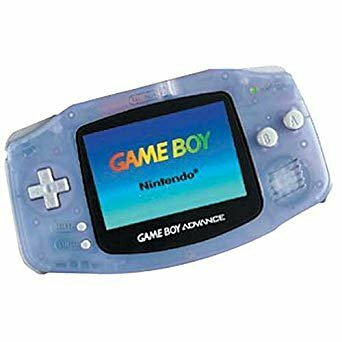 Just FYI, the screen is really that small and it did not have a LED backlight so you had to rely on an external light source to see the screen (so we couldn't play in the car at night). 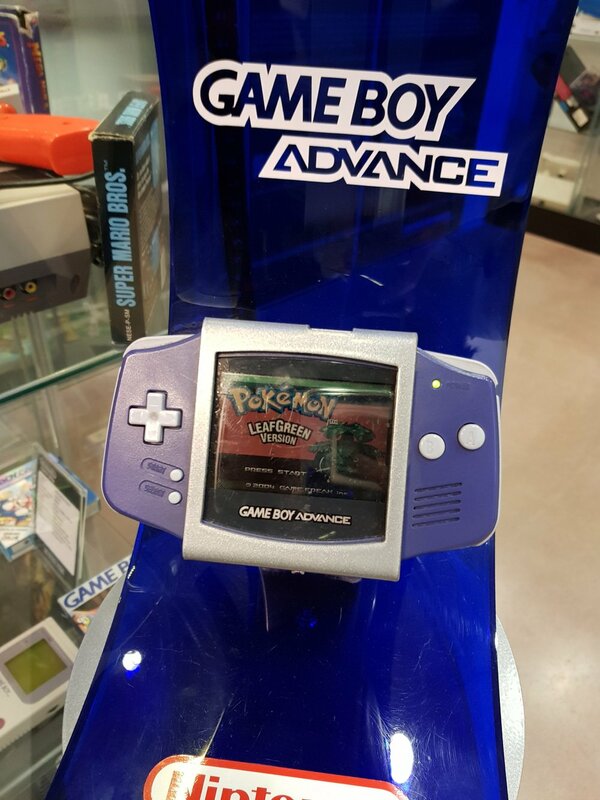 AND it ran on AA batteries! 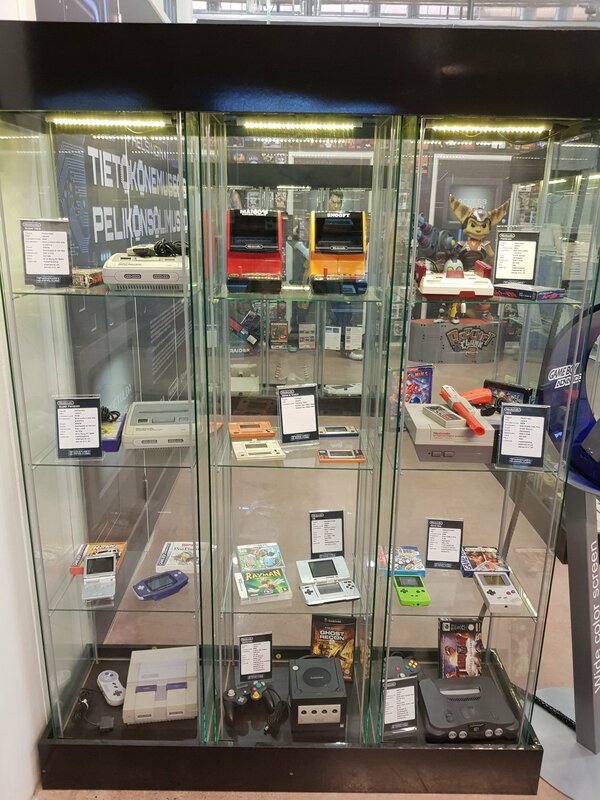 A display case full of old Nintendo consoles! 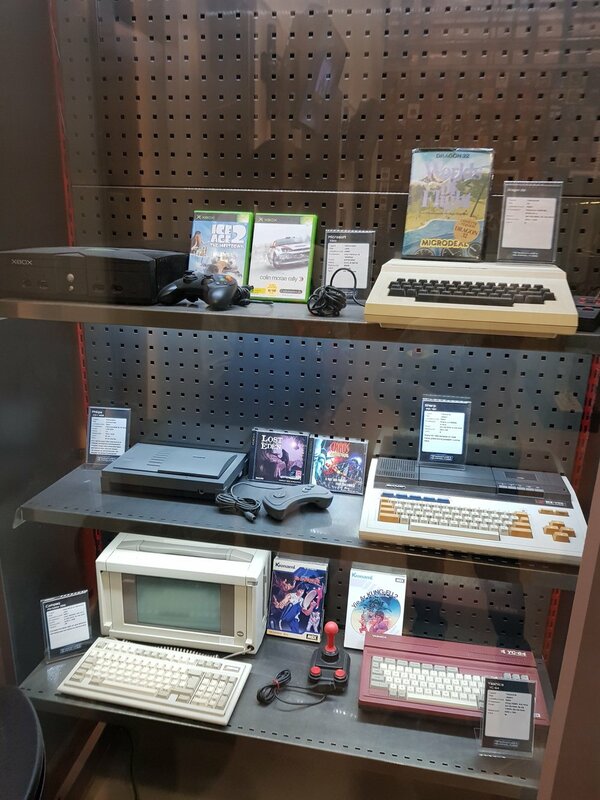 I think that was the first time I actually saw a SNES, Super Famicom and GameCube in real life since I've never seen them in Singapore before. 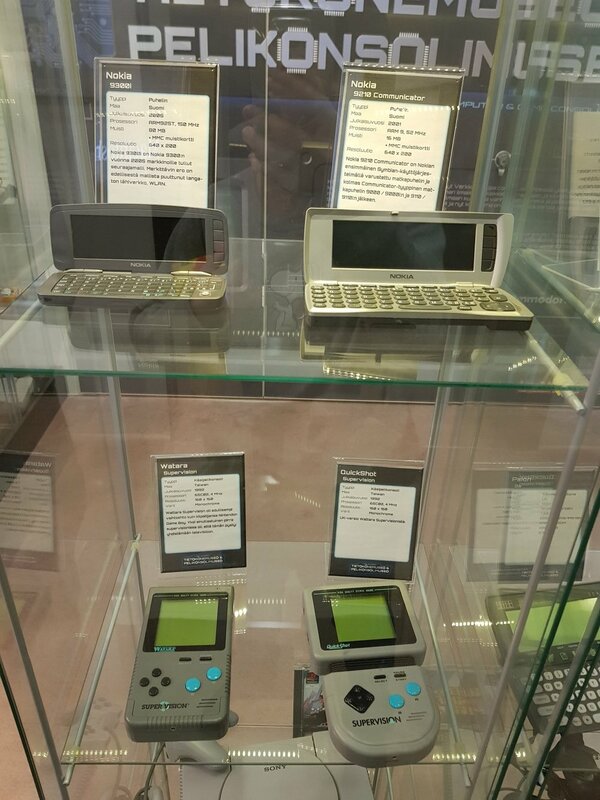 But looking at all these handhelds again really brings back soooo many memories (and also makes me realise how old I really am now 😔). 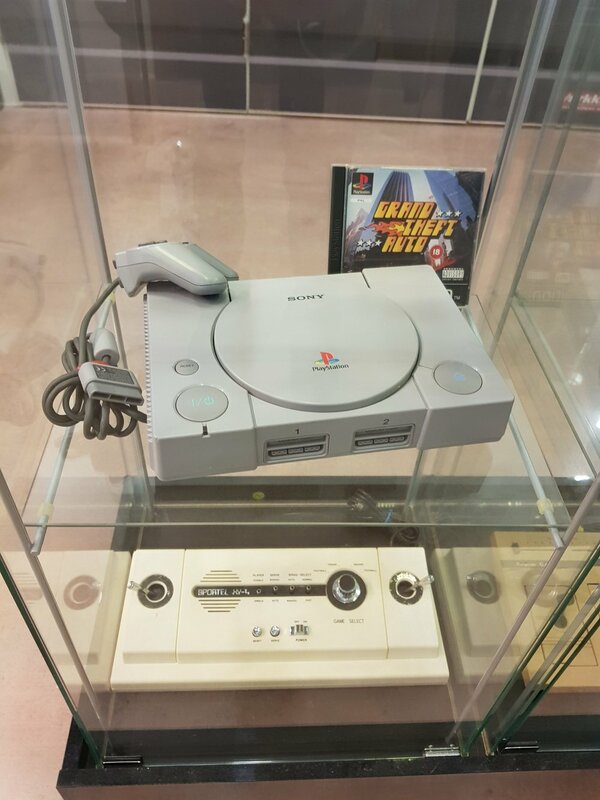 Ah the original PlayStation... with GTA! 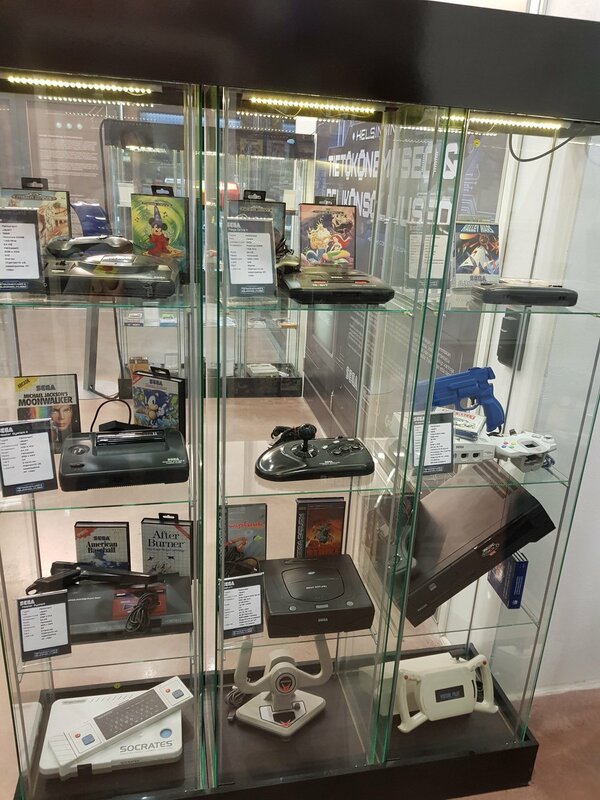 That was also the first time I saw a SEGA Genesis (or MegaDrive here in Finland) and SEGA Dreamcast, which was the rival of Nintendo's SNES and GameCube respectively. 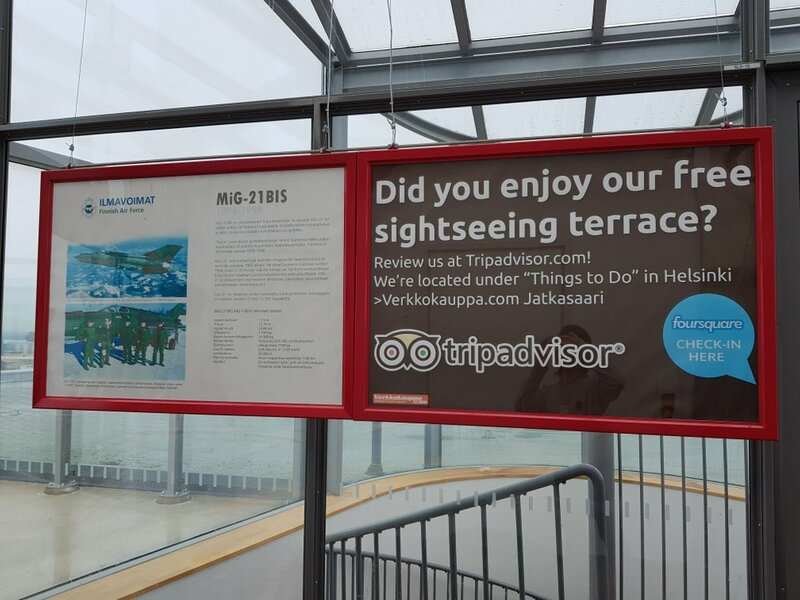 So there was also a roof terrace on the top floor and we went to check it out as well. Tbh it wasn't that great. Sorry for the poor quality as the weather wasn't very pleasant that day as you can see. 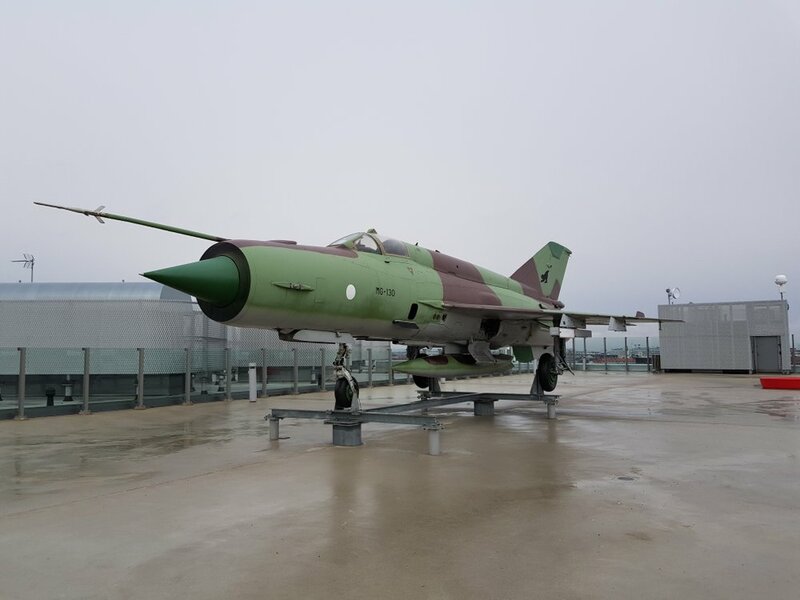 There was this cool looking jet though. 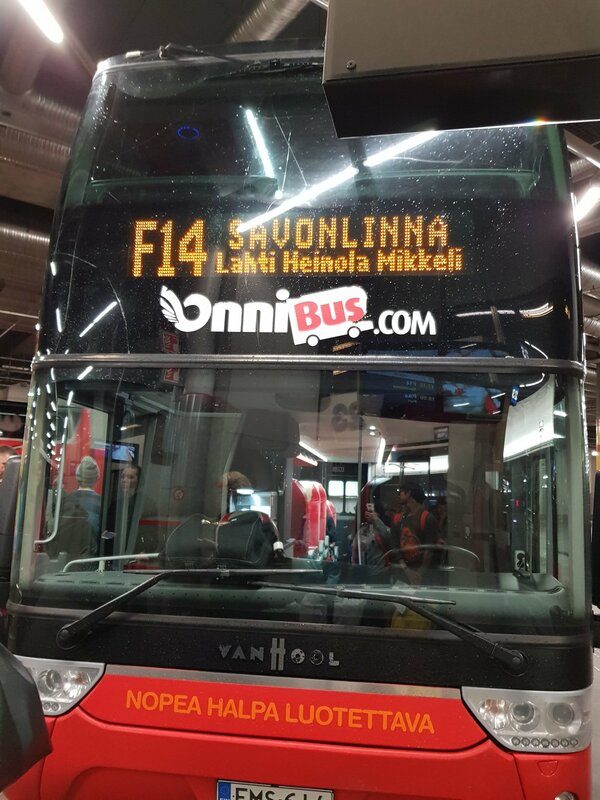 Anyway after all that, we collected our luggage back at the hotel before walking back towards the main bus station in Helsinki. 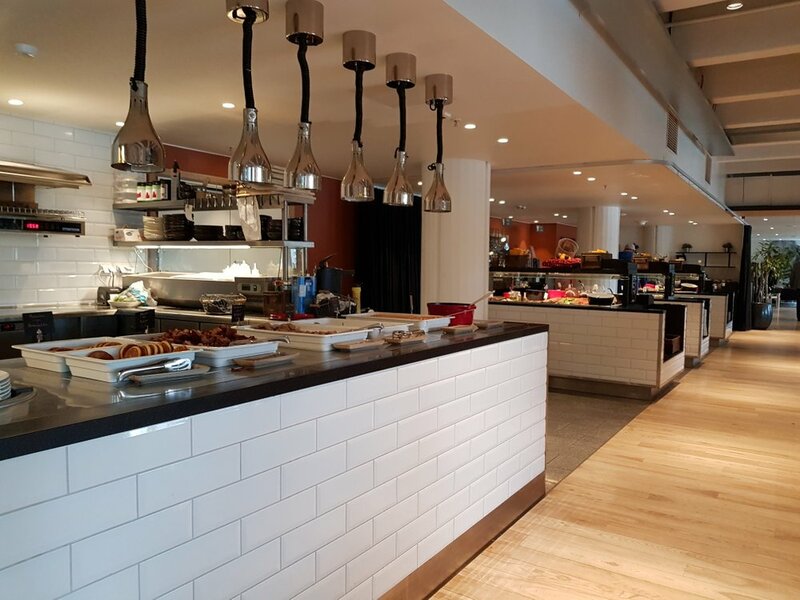 We had lunch in the station at our usual place, Singapore Hot Wok! We didn't have much time after that and soon it was time to board the bus back home! And with that we've come to the end of our short weekend trip! Man, can you believe these past few posts were only just 3 days in real time. 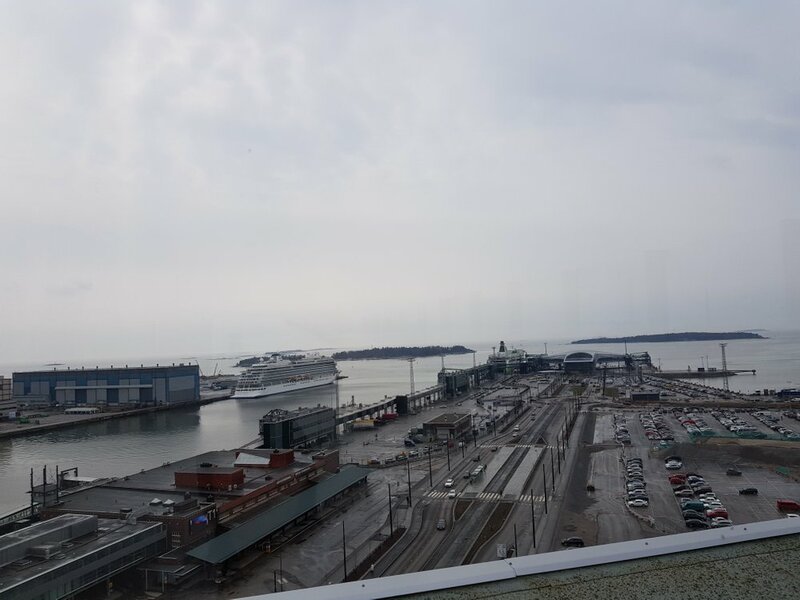 Anyway, stay tuned to my next post where we explore more of Finland! To find out more about me, check out my intro post here! Check out my previous post in this series! 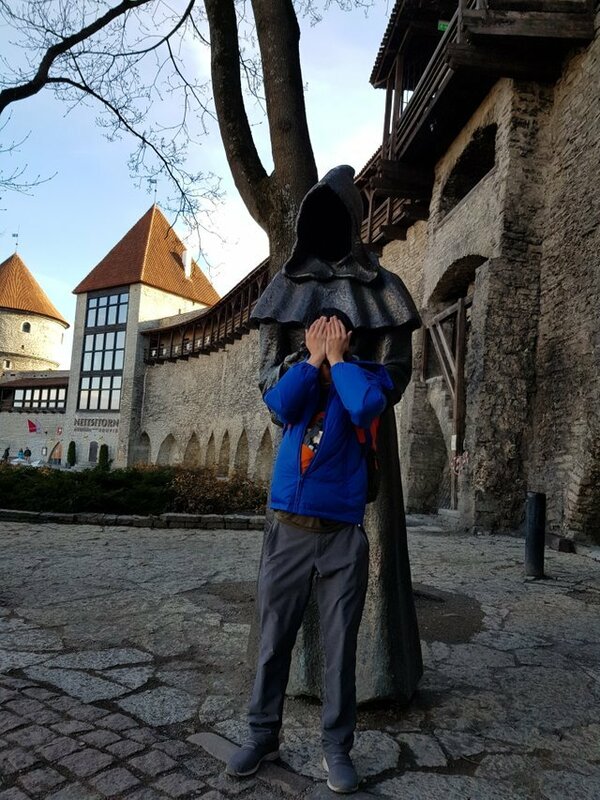 TacoCat’s Travels (Finland-Estonia) #18: Getting spooked and cruising home!